One way to chronicle my family's eating habits is by my parents' travels to Europe when we were in our late childhood and teens. Earlier than that, there were car trips but nothing very remarkable when it came to food. 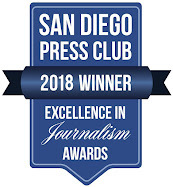 But once my dad became deputy director of the Los Angeles County Museum of Art in the '70s, they started going abroad and we started eating differently. A trip to London led to afternoon tea in Encino--not so much with the full complement of scones and pastries and clotted cream, but certainly the tea, which wasn't a feature of our lives before that. And English breakfast tea started showing up in the morning instead of coffee. A trip to Amsterdam led to buttered toast with hagel--chocolate jimmies, specifically the DeRuijter brand (which is available online and at some specialty markets in San Diego; I found them awhile back at 99 Ranch Market.). And then there were the Tom Aches, Dutch pancakes made by our family friend Tom van Leeuwen, and taught to my dad, who taught me. We started drinking espresso brewed in a machine my dad bought after returning from a trip to Italy. 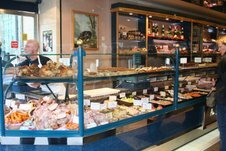 My mom found the Pioneer Boulangerie on Main St. in Venice, near Santa Monica, to buy baguettes and cheeses after they had been in Paris. My sister, brother, and I found ourselves learning about pâté and brioche and gougères. We were using olive oil, Dijon mustard, French jams, and cornichons. We didn't eat salami; we ate salumi or charcuterie. And we were making coddled eggs. 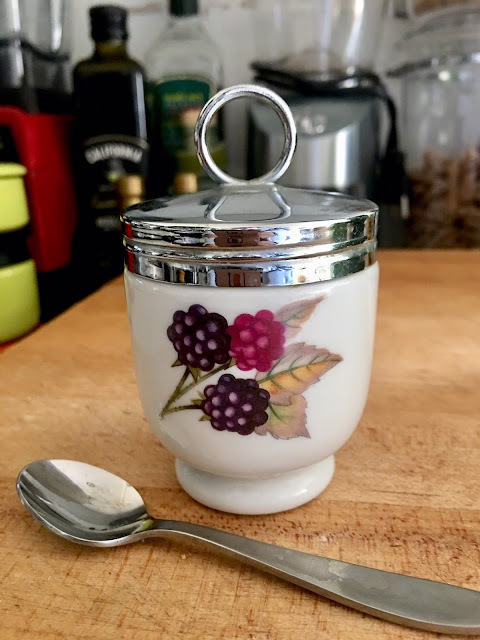 Yes, my parents went to England one summer and came back with these beautiful little porcelain coddlers. Instead of scrambled eggs, we were now filling these delicate containers with butter and cheese and ham and herbs--and eggs, of course. Then they'd get sealed with their metal screw-on lid and, using the small loop on top of the lid, gently lowered into simmering water. 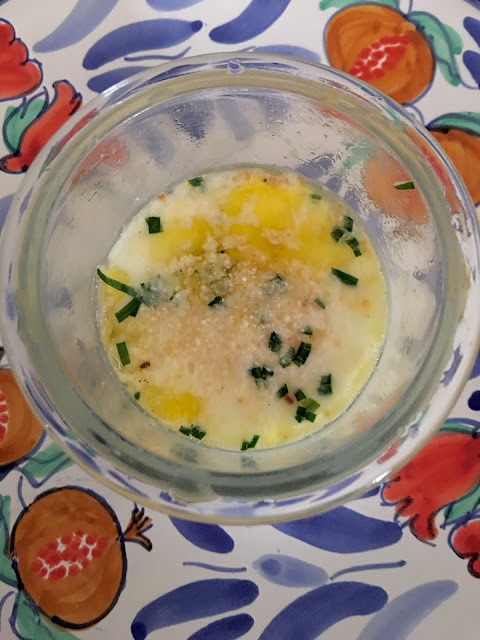 The ideal result was an egg that had an opaque cooked white with a runny yolk, surrounded by melted cheese and other miniature accompaniments. Eating the egg required a tiny spoon, such as you'd use with a cup of demitasse, and some toast for dunking. I grew to love coddled eggs and still have the two porcelain coddlers my parents gave me from one of their moves. But I fell out of the habit of making them. 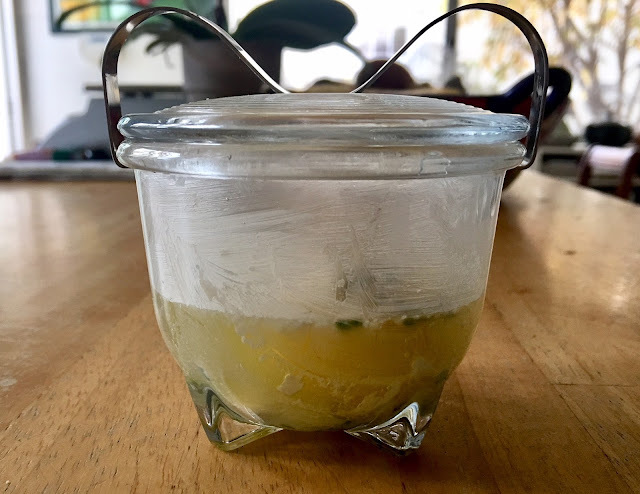 Recently though I came across a Food52 ad on Facebook for glass egg coddlers and I was smitten. Because they were clear you could actually see how the egg was cooking. And the large removable handle was more user friendly than the little loop. They came in different sizes--to accommodate one to six eggs. I had to have one. I ended up buying a 4-ounce coddler--same manufacturer--on Amazon (hey, free shipping!). It can hold two eggs, but works fine with one. Now those who love making coddled eggs usually make them with cream. But it's not necessary. You can keep it simple with just salt and pepper or include whatever add-ons you like--cheese, ham, bacon, herbs, finely chopped vegetables... Do rub the interior with butter to prevent sticking--and add a little for flavor, too. And be sure to use really great, really fresh eggs. 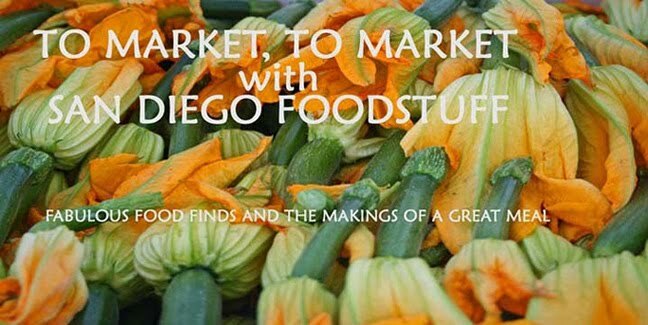 My favorites in San Diego come from Schaner Farms at the Little Italy Mercato. Place the empty coddler in a saucepan and fill the pan with water up to about three-quarters of the way up the coddler--below the lid. Remove the coddler and bring the water in the saucepan to the boil. Take off the lid and smear the interior of the coddler with butter. 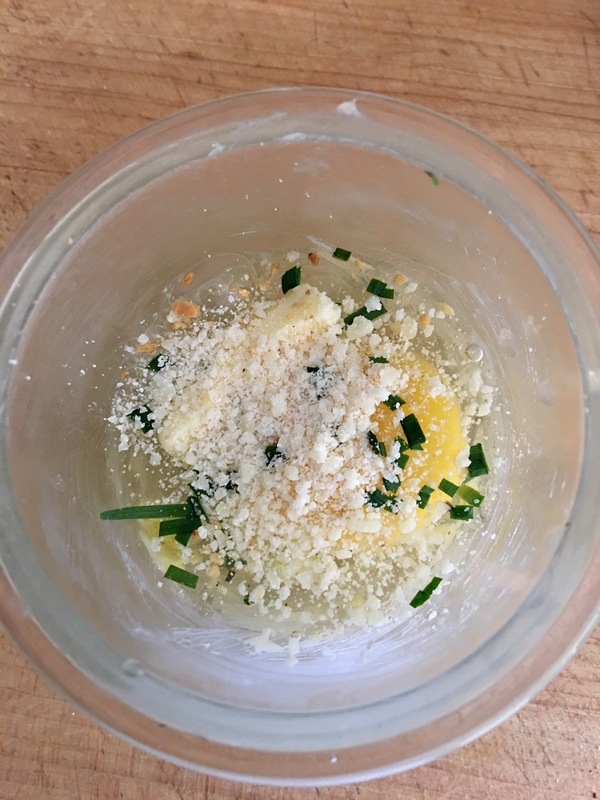 Place a small piece of butter on the bottom and any cheese or herbs or protein--but save some for the top, too. Crack an egg and add it to the coddler (for larger coddlers, add more eggs to fit). Then top with more butter, salt and pepper, and more flavorings. Place the lid on the container and seal. 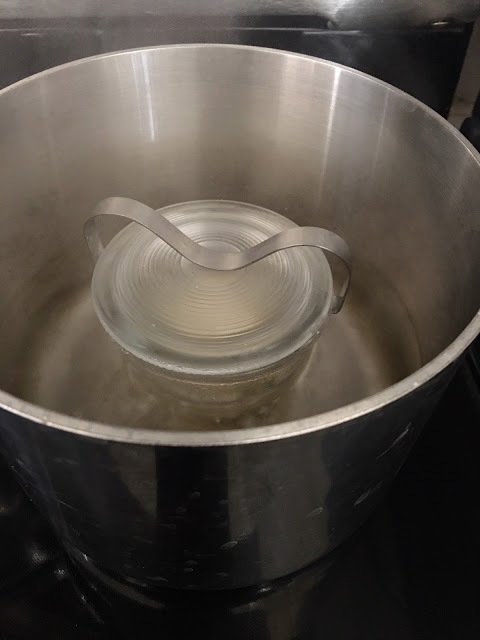 Place the filled coddler in the boiling water, then reduce the heat to simmer. Cook for 8 minutes and remove. If you're coddling more than one egg, it may require another minute or so. Remove the lid and serve with toast.